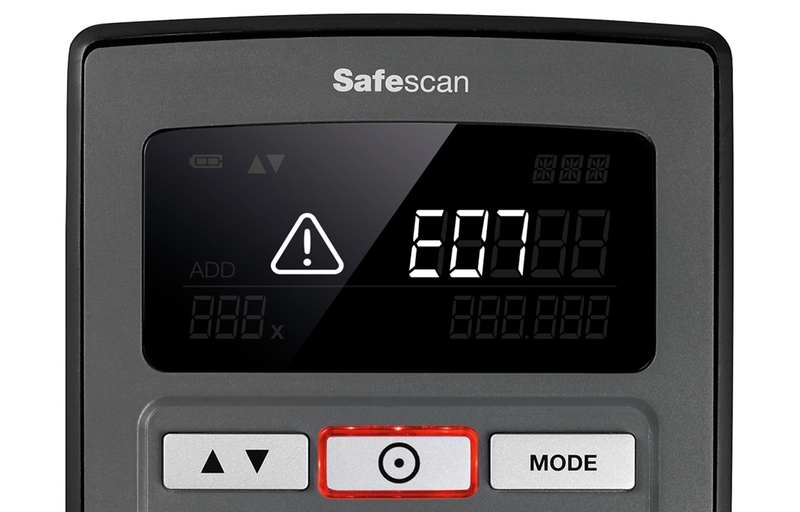 Safescan offers a range of counterfeit detectors to fit every budget and need, from simple detectors that let you manually inspect a single banknote feature (such as ultraviolet or magnetic marks) all the way to sophisticated, automated multi-point detection technology. Let’s take a look under the hood. Counterfeiting is estimated to cost US businesses $200 billion annually, and the EC estimates that counterfeiting has cost the EU at least €500 million since the euro’s introduction in 2002. Accepting counterfeit money is a real threat that every entrepreneur faces. The best protection is an active anti-counterfeit policy at the point of sale. 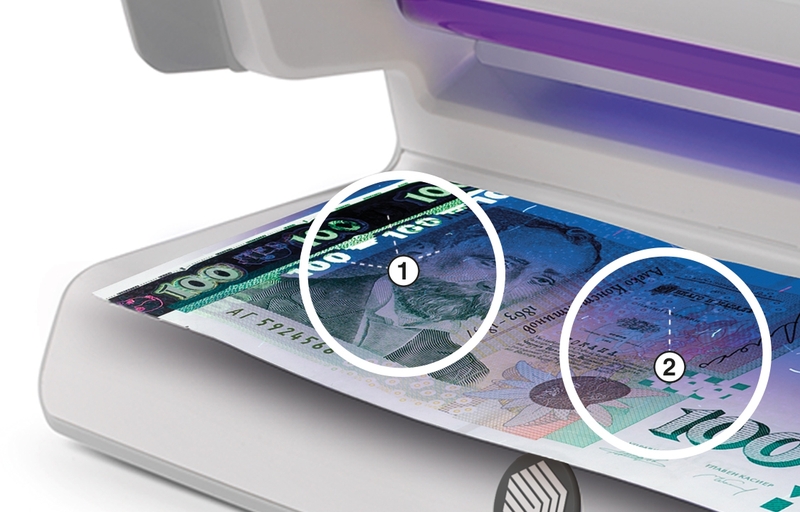 Every modern banknote contains ultraviolet (UV) ink with fluorescent phosphors that cannot be seen in daylight ①, but are clearly visible under UV light at a wavelength of 365 nanometers. 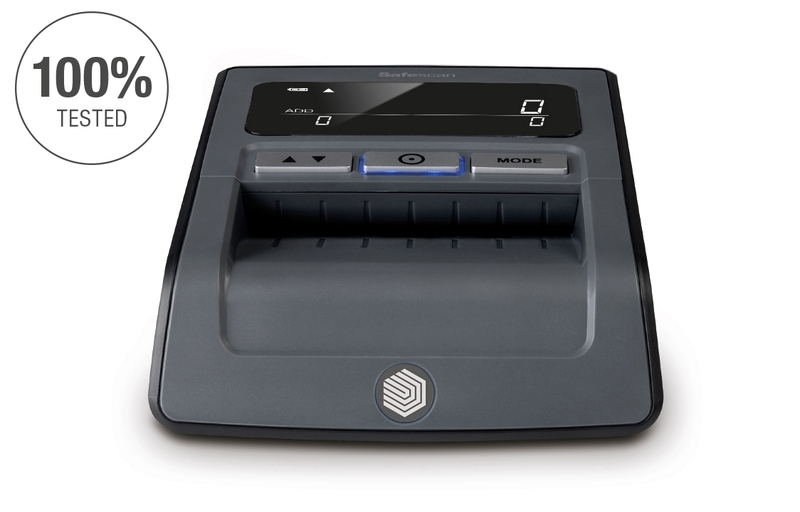 UV detectors like the Safescan 40, 50 and 70 let you place a bill under a bulb emitting UV light at the correct wavelength and visually verify that it contains UV marks ②. Higher-end detectors such as the Safescan 2600 series automatically identify the UV features in modern banknotes using sophisticated UV and photonics sensors. Central banks use ferromagnetic ink—which comes in many colors—to print banknotes with complex magnetic patterns that don’t look any different to the naked eye. Central banks also weave metallic thread into their banknotes, in specific sizes and locations. 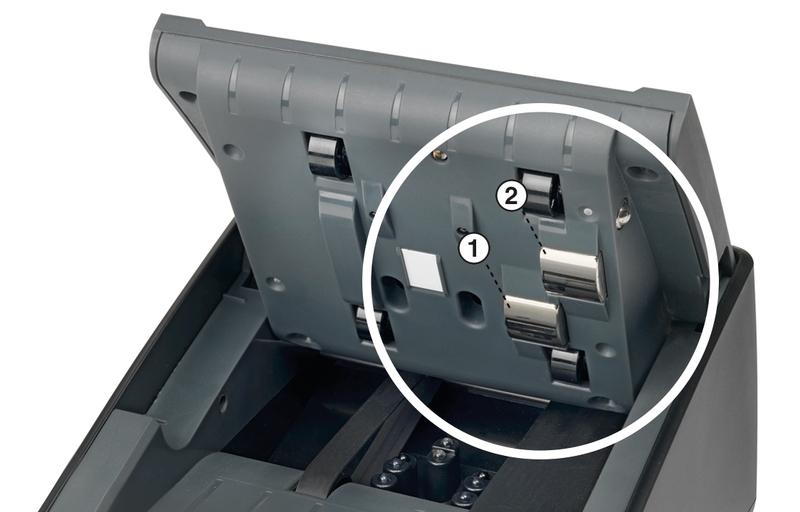 Manual magnetic detectors can help you weed out simple fakes that don’t contain magnetic ink or thread. Higher-end detectors such as the Safescan 155-S, 165-S, 185-S and 2600 series can catch even sophisticated counterfeits: they are programmed to identify the specific thread and ink patterns unique to each supported currency and denomination using multiple magnetic sensors. 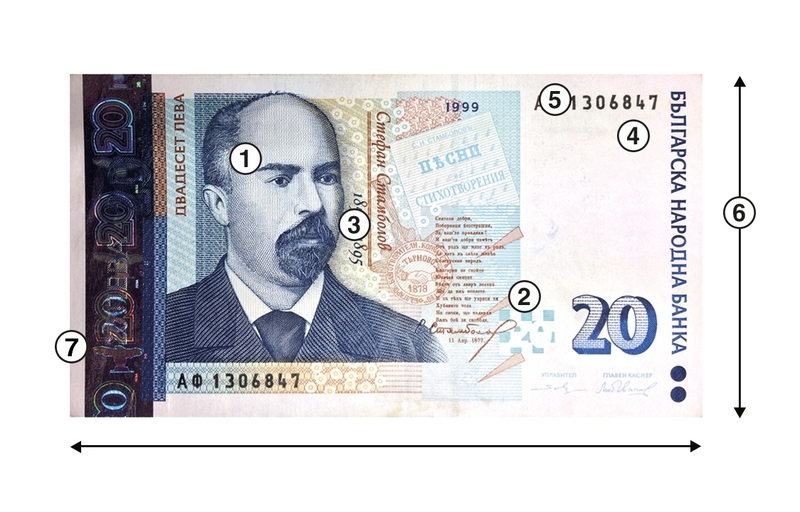 Today’s banknotes are printed with inks that exhibit special behavior under light in the infrared band of the electromagnetic spectrum. There are two kinds of IR ink: ink that reflects IR light (glows), and ink that absorbs IR light (turns black). Both are invisible in normal daylight and can only be detected by special devices. Manual IR detectors such as the Safescan 235 let you visually inspect how a banknote responds to IR frequencies; automated detectors such as the Safescan 155-S, 165-S, 185-S and 2600 series automatically identify the specific IR response patterns unique to each supported currency and denomination, using a series of IR reflecting and IR absorbing sensors. 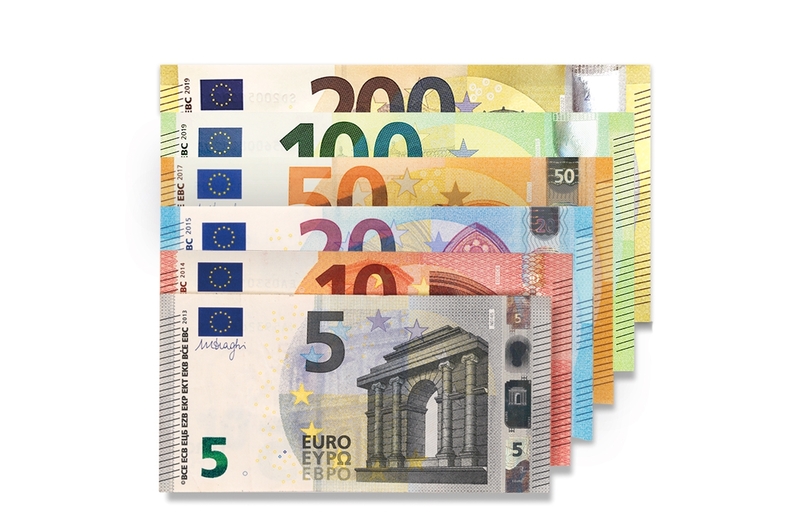 Central banks manufacture each banknote denomination to a very precise length, width and thickness. (In the US, every denomination has exactly the same dimensions, but most currencies use a unique size for each banknote value.) 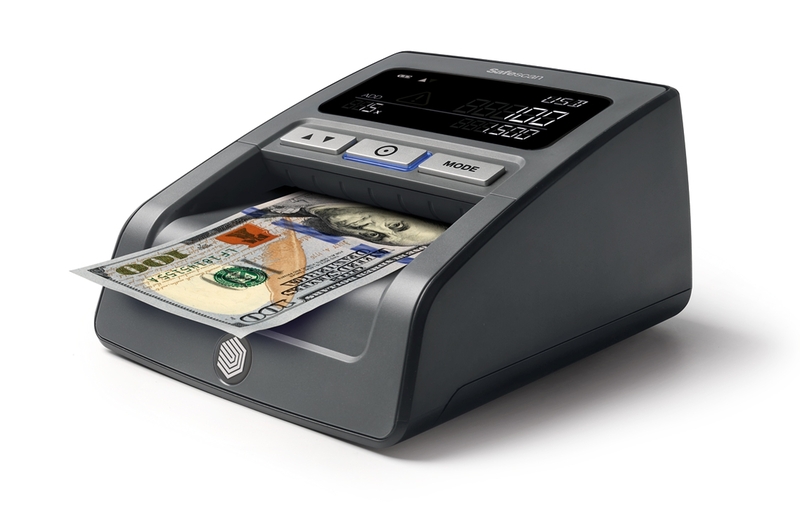 Sophisticated counterfeit detectors such as the Safescan 155-S, 165-S, 185-S and 2600 series use pulsing LED transceiver pairs and infrared sensor banks to measure a banknote’s size and thickness down to a tenth of a millimeter—smaller than the period at the end of this sentence. Central banks print each banknote with colored inks in complex patterns that are unique to each denomination. 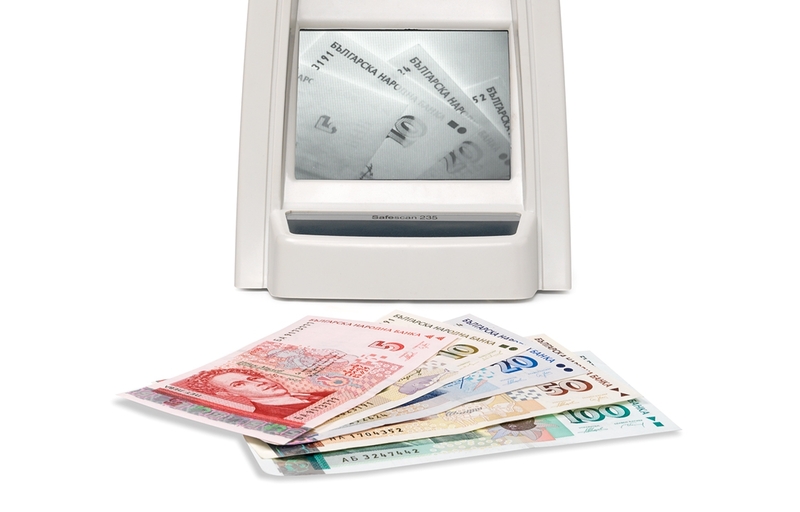 Sophisticated counterfeit detectors such as the Safescan 185-S automatically scan the banknote being tested using a highly sensitive spectrum sensor, then compare the scan with the correct image stored in memory. The term superdollar refers to an extremely high-quality counterfeit US $100 bill. Today more than 20 varieties of superdollar have been identified by experts; all of them use highest-quality inks printed on a cotton-linen blend and recreate many security features found in the genuine US $100 bill. 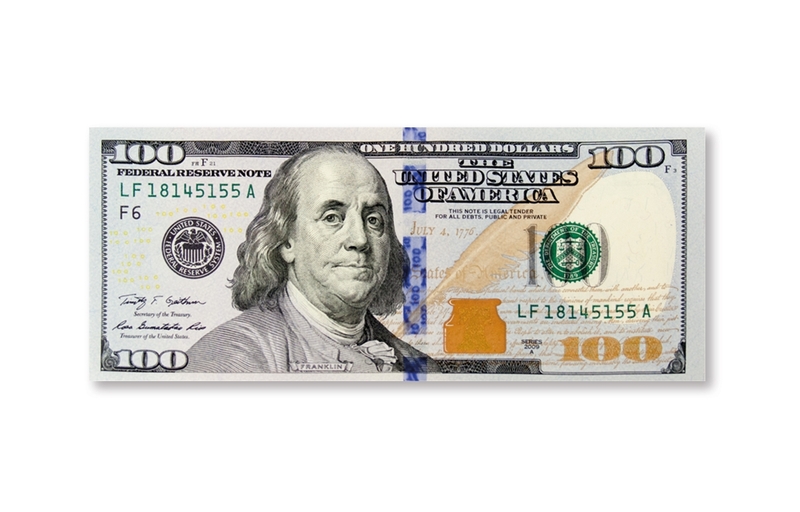 To combat the phenomenon, the US Federal Reserve issued a new $100 banknote in 2013 that incorporates a blue ribbon with hard-to-replicate holographic features. Central banks are constantly working to improve banknote security as new techniques emerge. Safescan’s currency management team keeps abreast of these developments and updates our detection software as soon as new bills are announced. 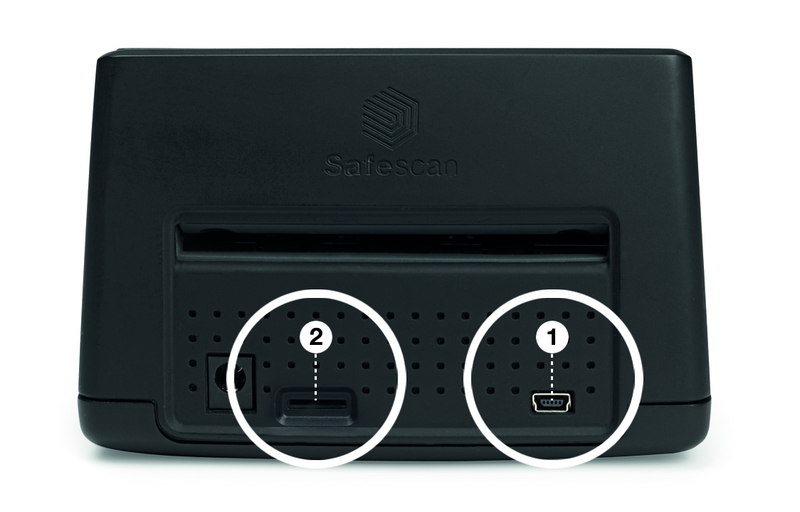 We notify when an update is ready; all you have to do is install it using the USB port ① or microSD slot ② on the back of your Safescan device. 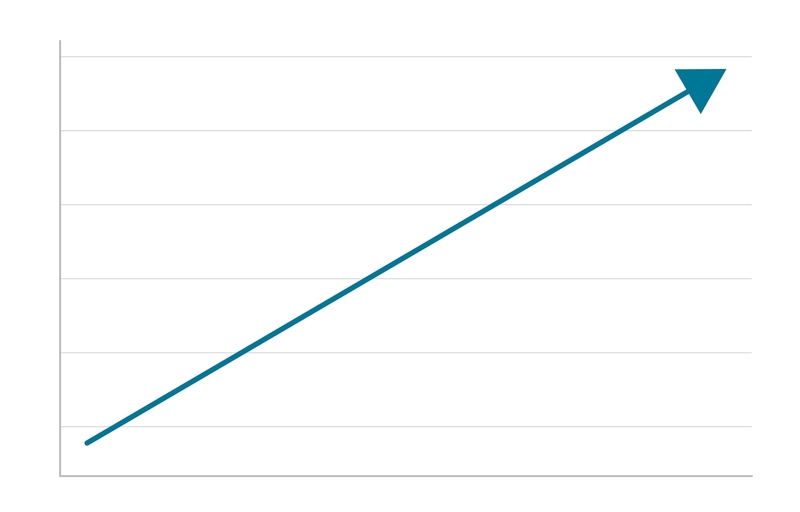 When the new note enters circulation, your Safescan detector will be ready for it.